Ayim (Jack Cudjo, 2011) explores the history and culture of the West African Akan people in this nonfiction work. Some Akan people live in Ivory Coast, but most are based in southern Ghana. There, they constitute a majority of the population, and their primary tongue, Twi, is its most commonly spoken indigenous language. 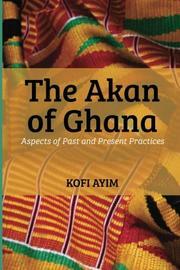 “The word Akan literally means ‘premier,’ ” the author notes. “Akanfo means ‘premier people,’ connoting a group of people who consider themselves among the earliest of nations.” Tradition holds that the Akan’s origins are connected with Pharaonic Egypt, and Ayim offers a comparative analysis of these two cultures as well as of other African peoples in different periods. The author explores the particulars of traditional Akan society, from its foundation myths and history of migration to its distinctive matriarchal structure. The book pays much attention to social organization and rituals, and it clarifies the Akan understanding of the individual, death, and other sociological concepts. Numerous appendices explore further details, including symbology, woven kente cloth, and common names and proverbs. Ghana, like the rest of world, is constantly experiencing cross-cultural pollination; the author describes this as diluting Akan culture, and he argues for the necessity of traditional ways: “The average Ghanaian has been made to understand that drumming and dancing are all that culture is about,” he says. “But a well-developed and harnessed culture…could contribute its quota to national development.” Ayim writes in a prose style that’s formal yet accessible and detail-oriented. The overall tone is scholarly, and the book’s brevity and diversity of content make it a serviceable introduction to Akan culture. Its analysis of cultural and linguistic links between the Akan and ancient Egyptians is intriguing even if that connection finally remains murky. The text can be a bit dry at times, but it adequately captures the rich history of its titular people, and it will likely inspire some readers to seek out more information about Akan culture. Readers interested in the history and peoples of West Africa in general, and of Ghana in particular, will find much of interest here. A thorough and illuminating cultural primer.